A United States' drone strike targeted a hideout of the Islamic State (IS) terrorist group, killing a terrorist in Achin district of Nangarhar Province in eastern Afghanistan, the Afghan defence authorities said on Saturday. 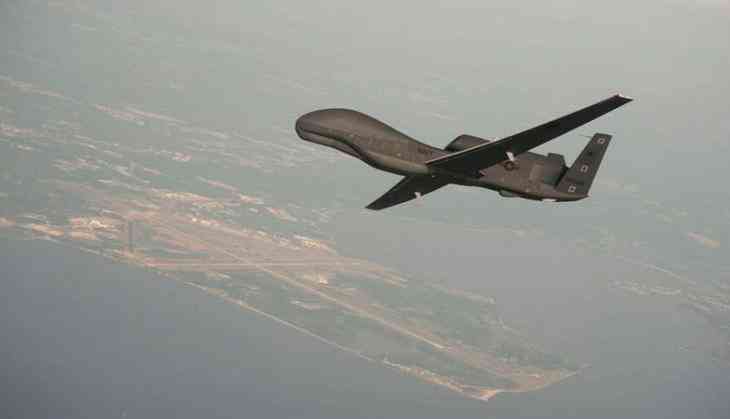 According to the 201st Silab Corps of the Afghan Military, the airstrikes were carried out by the US forces using unmanned aerial vehicles targeting the hideout of the IS group near Mamand area of Achin district in Afghanistan, the Khaama Press Agency reported. The defence authorities confirmed that the hideout was eliminated and the IS terrorist was killed in subsequent airstrikes. This comes after two IS terrorists were in a similar airstrike in Achin district last week. Also, at least 11 IS terrorists were killed during a military operation launched by the Afghan forces in Nangarhar province last month. The anti-government armed militant groups including the IS terrorists have not yet reacted to the incident so far.